Grace Eline (Top L), sister of Marie Eline, was known as "The Thanhouser Juvenile" in films circa 1910 to 1913. Thanhouser Career Synopsis: Grace Eline, the sister of The Thanhouser Kid, appeared in many Thanhouser films circa 1910-1914 but was rarely mentioned in studio publicity. Biographical Notes: Frances Grace Eline was born on August 12, 1898, the daughter of Grace and Charles L. Eline. She was raised in Milwaukee, where her mother designed clothes for the Thanhouser Stock Company. Grace Eline was an actress on the stage at a young age. She and her sister Marie appeared at the Broadway Theatre, New York City, in The Jolly Bachelors, with Nora Bayes and Jack Norwood. Young Grace played a Russian captain and little Marie was an American captain. Another stage appearance was with Elsie Janis in The Lady of the Slipper, at the Globe Theatre in New York City. An article in The Boston Herald, October 17, 1926, told of Grace Eline's stage debut: "When Miss Eline was a youngster, her family met with financial difficulties and she and her sister, being ambitious, felt they should do something about it. Living in the same apartment house with them was Mary Miles Minter and her mother. It was through them that the stage idea hit the Eline sisters ever so hard. Mother Eline held up her hands in horror and was most emphatic in her 'no's.' Finally, however, she was persuaded to take one of them down to a theatre in which Louis Mann was playing - he needed a little girl for a small role. Mr. Mann picked Miss Eline's sister [Marie] up and went through a certain scene in which she was supposed to carry her. The child was frightened, refused to relax and Mr. Mann said he though she had no dramatic ability. This was too much for Mrs. Eline to bear, she was determined then that her children should make good on the stage just to show people that they had it in them." Grace was then quoted as saying: "'Mr. Mann remembers my mother and her wrath to this day. She was so proud of us. I've done a little bit of everything since my picture days. My forte seems to be eccentric comedy. I've played a great deal in vaudeville, write my own acts and do plenty of ad libbing besides. It is natural for me to clown, and I love to make people laugh. My sister is just as foolish about clowning as I am and that's the reason we want to be in a production together. We're such perfect foils for one another.'" 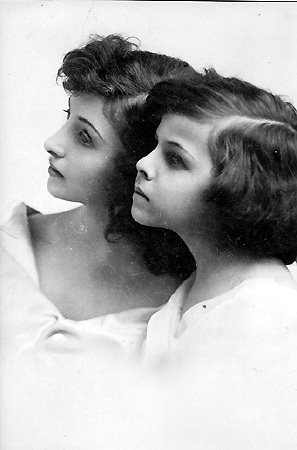 With Thanhouser: The Eline sisters were with Thanhouser from 1910 to 1914. While they were with Thanhouser, Grace and Marie Eline made many personal appearances, traveling to greet movie theatre patrons in London, Egypt, Paris, and far-flung places. During their tenure with Thanhouser they were seen on the stage as well. While Grace Eline played bit parts at Thanhouser from 1910 through 1913, she was not recognized as a member of the firm's stock company of players. That distinction came in 1913, when trade notices published news of her change in status. A picture caption in the February 22, 1913 issue of The Billboard noted: "GRACE ELINE. Miss Eline is the latest recruit to the ranks of motion picture actresses. She has just left the Lady of the Slipper Company to become a member of the Thanhouser Eastern Stock Co."
Similarly, the January 22, 1913 issue of The New York Dramatic Mirror stated that she wasn't employed by Thanhouser, but implied that she was at the studio from time to time. The February 19, 1913 issue of the same trade journal published a photograph of Grace Eline, with the caption noting that she was a Thanhouser player. In a conversation with the author in September 1987, Grace Eline recalled that she was called "The Thanhouser Juvenile," but the name did not stick. 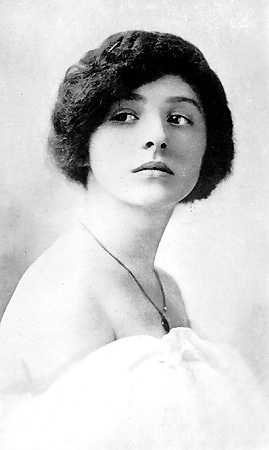 She recalled playing in "hundreds" of Thanhouser films, although most of her parts were in the background, and she did not receive the billing accorded to her sister, Marie. She remembered her first Thanhouser film appearance as being in A 29-Cent Robbery, in which her sister Marie was the leading player. She was never in films with any producer other than Thanhouser, she averred. 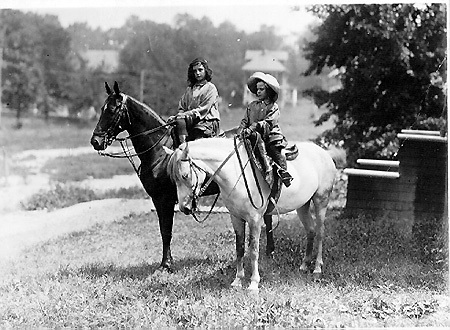 Grace Eline recalled that her days with Thanhouser were among the most pleasurable of her life, that she and her sister enjoyed all of the fine people there, and that in particular she remembered Charles J. Hite, James Cruze, Marguerite Snow, and Florence LaBadie. Neither Grace nor Marie Eline ever went to public schools. All of their education was by private tutoring. The Photoplay Magazine, August 1913, discussed Grace's career: "Grace Eline (Thanhouser) used to be a chorus girl. Yes, honestly, she did, once upon a time, and played with Elsie Janis, ...but just now she is touring the vaudeville circuits with her kid sister, Marie Eline, better known as 'The Thanhouser Kid,' and is occasionally seen in Thanhouser films." 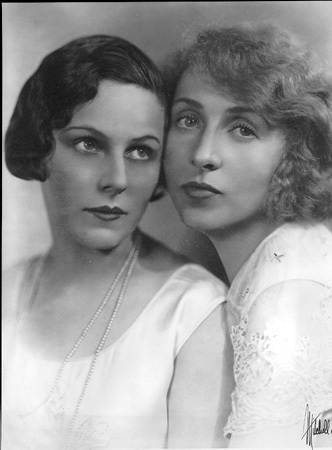 Later Years: In 1914, she and Marie left Thanhouser to go back on the stage, where they were offered much more money than Thanhouser was willing to pay. Grace was best known as a dancer, while Marie was a singer and dancer. One of Grace's favorite stage performances was with Al Jolson in Big Boy in the Winter Garden. She and Marie remained in vaudeville through the 1940s. "At one time when I was still young, I had $25,000 worth of jewelry," she told the author. "I am five feet, one inch tall, and my sister was even shorter; she was just four feet, seven inches." "All Miss Eline asks is that the donor give her a hint as to his identity, surely a simple and reasonable request to grant a charming, young actress." An article in the New York Telegraph, January 5, 1927, told of her vaudeville activities: "Grace Eline, recently featured with Big Boy, in which she played the comedienne role opposite Al Jolson, is back in vaudeville again, this week showing her new vehicle to the bookers at the Broadway Theatre. Miss Eline is appearing with Billy Reinhart, pianist, and Ming Toy, a Chinese girl singer. The specialty was staged by Mann Holliner and Alberta Nichols and is handled by the Harry Fitzgerald office and will be routed over the big time theatres of the Keith, Albee and Orpheum circuits. Her last vaudeville appearance was with the team of Weston and Eline, a recognized big time feature." Grace Eline married four times, each being "a wonderful man," according to her statement to the author. Of the four unions, with Messrs. Cosgriff, Waldheim, Bornstein, and Arkin, one child was born: Robert Lloyd Cosgriff, who in later years became an executive with Pan American World Airways. Her last husband was Albert Arkin, who met his death in a plane crash while traveling from Los Angeles to Las Vegas. She had her name legally changed to Lucia Arkin, and "Grace Eline" was forgotten. At one time she was also known as Lucia Holt Stanwood.